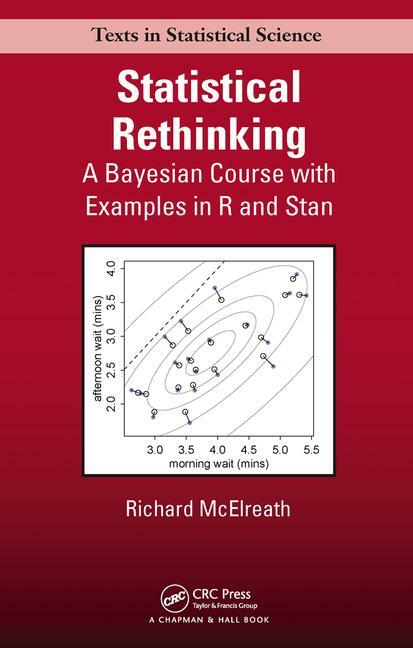 Statistical Rethinking: A Bayesian Course with Examples in R and Stan is a new book by Richard McElreath that CRC Press sent me for review in CHANCE. While the book was already discussed on Andrew’s blog three months ago, and [rightly so!] enthusiastically recommended by Rasmus Bååth on Amazon, here are the reasons why I am quite impressed by Statistical Rethinking!